The transient nature and pervasiveness of packet loss, jitter and other performance problems occurring over a wireless “last mile” are often poorly understood, and hardly ever quantified. 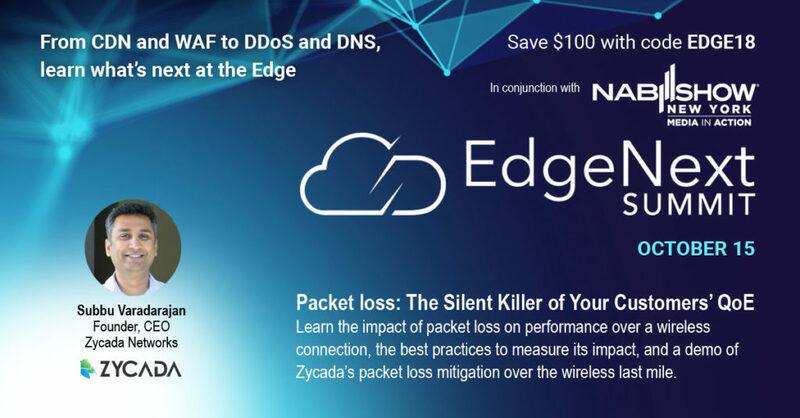 At the EdgeNext Summit, taking place Monday October 15th in NYC, Subbu Varadarajan, Founder, and CEO of Zycada Networks, will illustrate the impact of packet loss on performance over a wireless connection. Learn the best practices to measure its impact, and see a live demo of Zycada’s packet loss mitigation over the wireless last mile.